An in-depth look at a South Carolina report on domestic violence is at the center of a national conversation. If any good has come from the release of the video showing former Baltimore Ravens running back Ray Rice knocking out his then-fiancée, it’s that our social media feeds are filled with friends’, family members’ and acquaintances’ unfiltered opinions on domestic violence. Among those piping up are the holier-than-thou folks who withhold their empathy and outrage because Janay Rice has stayed in the relationship. Then there are the people indignant that we don’t know what she did to provoke her assailant. There are the football fans expressing relief that Ray Rice didn’t play for their team, and so the season can move on without interruption. (Side Eye of the Year Award goes to this camp.) And there are the patient few taking time to explain in Facebook threads and real world conversations why these perspectives—and any that blames the victim or distracts from the reality of that brutal and nauseating knockout—fail to acknowledge the humanity of Janay Rice, survivors of intimate partner violence and women as a whole. A topic typically shrouded in shame and hushed tones has moved to the center of public debate, and it’s an opportunity to get an honest take on where our communities stand and to respond as needed. More than three times as many women have died here at the hands of current or former lovers than the number of Palmetto State soldiers killed in the Iraq and Afghanistan wars combined. It’s a staggering toll that for more than 15 years has placed South Carolina among the top 10 states nationally in the rate of women killed by men. The state topped the list on three occasions, including this past year, when it posted a murder rate for women that was more than double the national rate. Woven throughout the reporting are videos of first-person accounts from women who have survived domestic violence, either as the person abused or as a witness to fatal abuse. These are the stories we should be watching for insight into the crisis, not the video released this week. The series also proposes solutions, including a suggestion that South Carolina law enforcement agencies adopt a system of evaluating when and how an abuser’s tactics escalate toward the homicidal. This so-called danger assessment tool was developed by a Johns Hopkins researcher featured in a recent New Yorker article that should also be required reading for the many observers claiming sudden expertise on domestic violence. 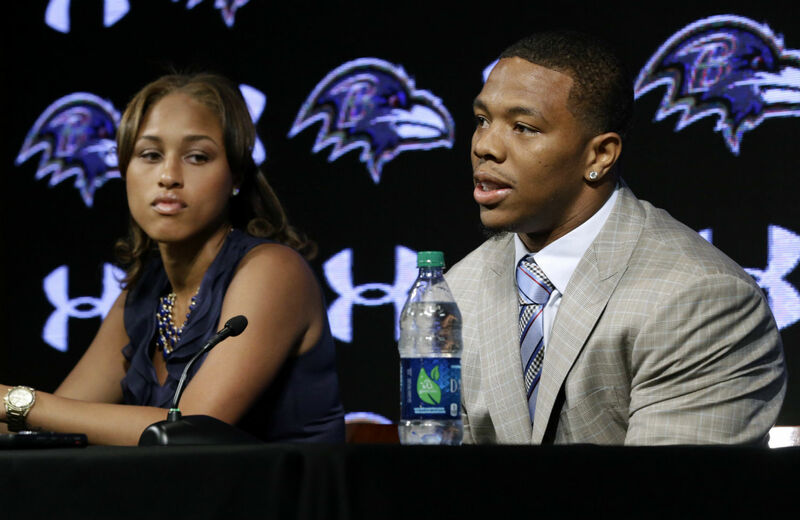 On Tuesday, Janay Rice asked the media to look away so that her family can heal in peace. We can honor her request without dropping the important (and sometimes maddening) conversation that’s kicked off as a result of this week’s news. Sadly, there’s no shortage of similar stories to learn from. What we do with those stories and our willingness to move beyond voyeurism to action are the real measure of how serious we are about the problem.